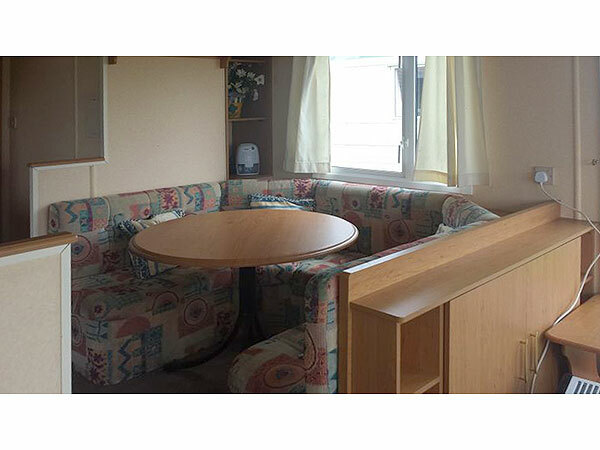 This modern caravan combines comfortability with practicality and offers a good standard of holiday accommodation. 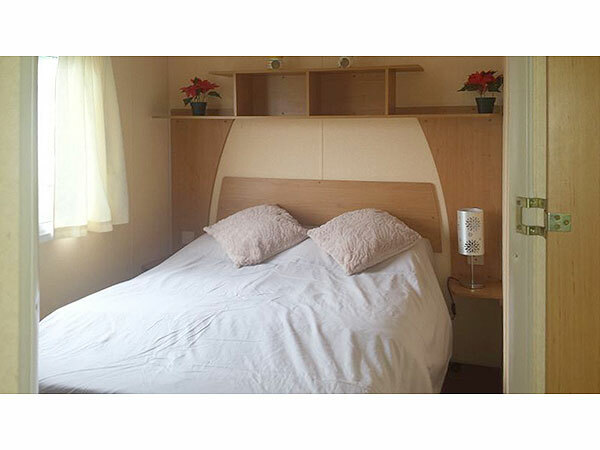 One double room with built in wardrobes & shelf storage. 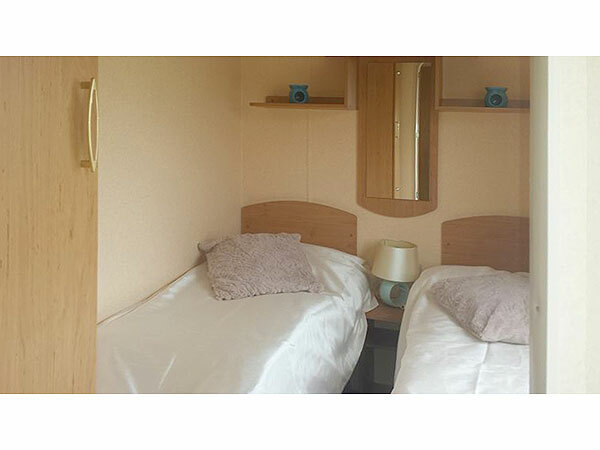 One twin which can easily be converted to a double, with a single wardrobe & shelf storage. Second twin with a single wardrobe & shelf storage. 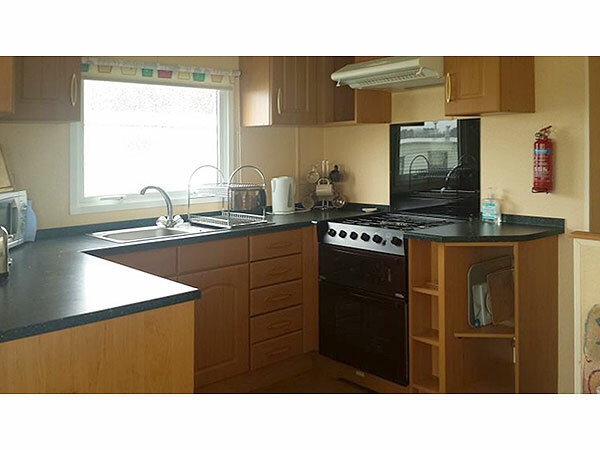 Fully equipped kitchen and bathroom with W/C, wash basin and shower. Also 2nd toilet & sink room. 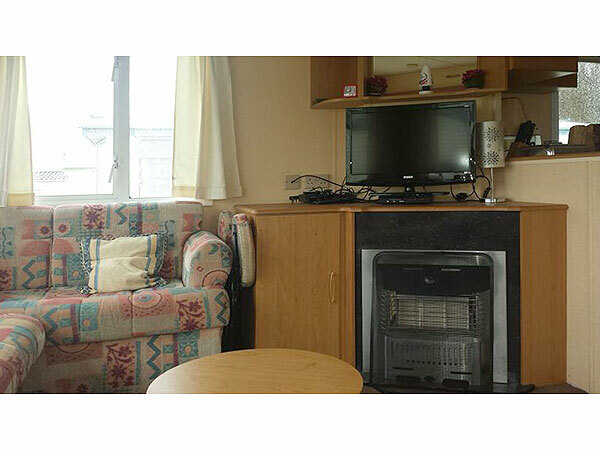 The caravan offers as standard: Colour TV, Freeview digibox, DVD player, CD/radio player, Microwave oven, Toaster, Gas hob and oven, Under bench full-size electric fridge freezer, Duvets & pillows (Bed linen is not supplied), Vacuum cleaner, Iron and ironing board, Full inventory of cutlery and crockery and FREE Gas and Electricity. 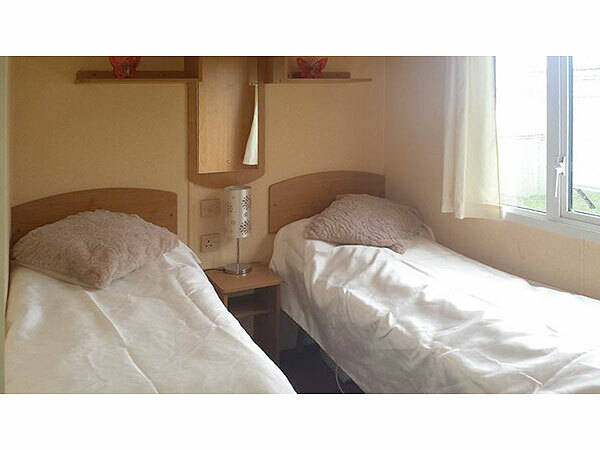 The caravan is situated close to all the site amenities. 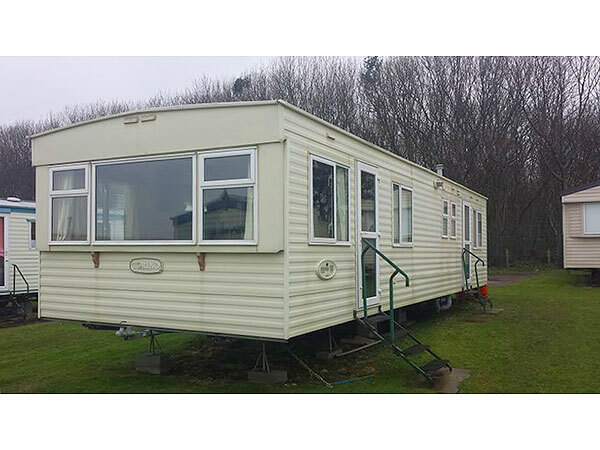 A parking bay is available within close proximity of the caravan. Please note it is not permitted to park on the grass. Check-in 3pm and Departure 12 noon. 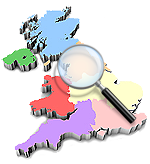 £50 non refundable deposit, holiday balance to be paid 4 weeks before your holiday commences. 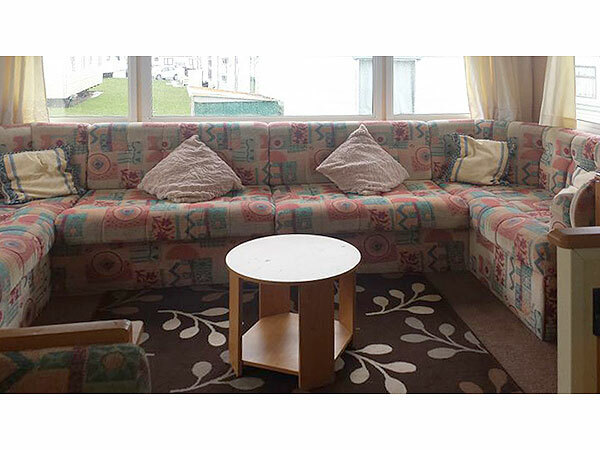 Entertainment Passes are not included in the Holiday Price – These can be purchased from the site reception.